90 are dead and 1000 people are injured after a football pitch invasion took place. Majority of the people died from suffocation and head wounds while some from the stab wounds. The death toll is 93 at the time according to the doctors which is increasing. 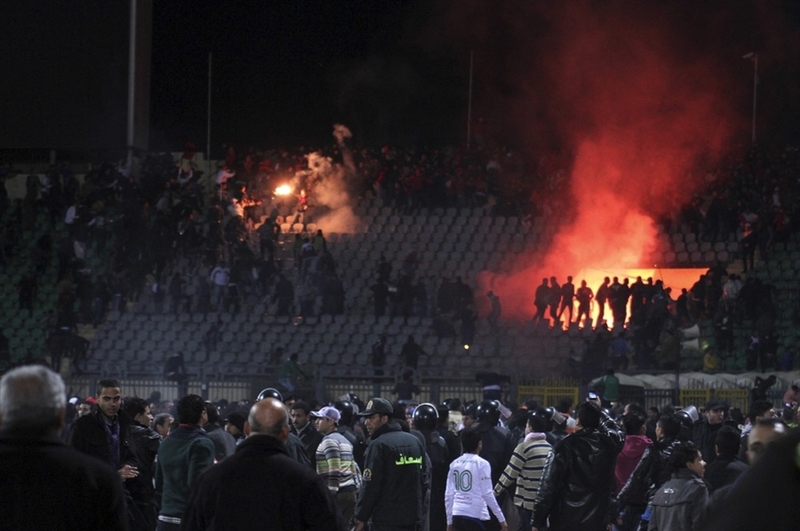 The tragic incident occurred in the city of Port in Egypt where the match between the two teams playing at the time. One was Al Ahli, one of Egypt’s most successful clubs while the other one was Al Masry which is based in Port.Al-Masry, secured a rare 3-1 victory against Al Ahli. Trouble started as fans started swarming over the pitch seconds after the final whistle of the match. Later the Egyptian army was being airlifted in by helicopter to rescue stranded players who became trapped in the changing rooms.